The way a driver had to apply themselves to racing in Formula 1 had changed forever - and they knew it. 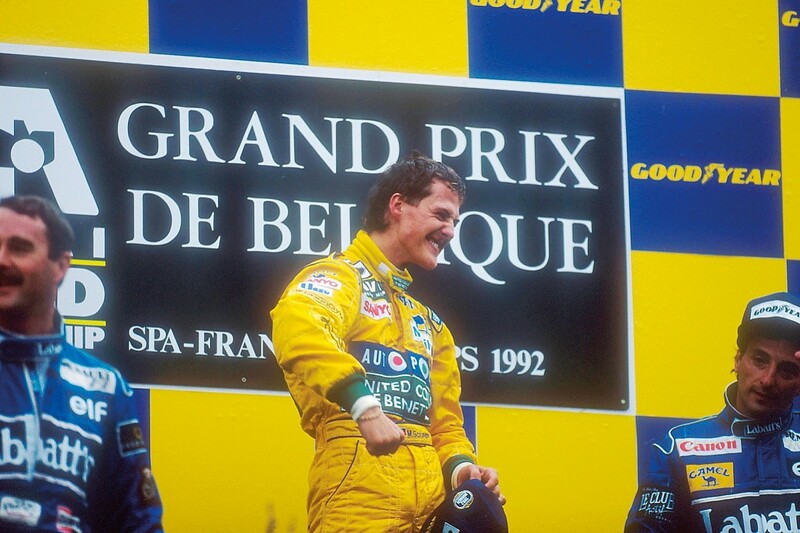 The podium at the 1992 Belgian Grand Prix heralded the revolution. Nigel Mansell, then 39, and his Williams team-mate Riccardo Patrese, 38, looked weary. 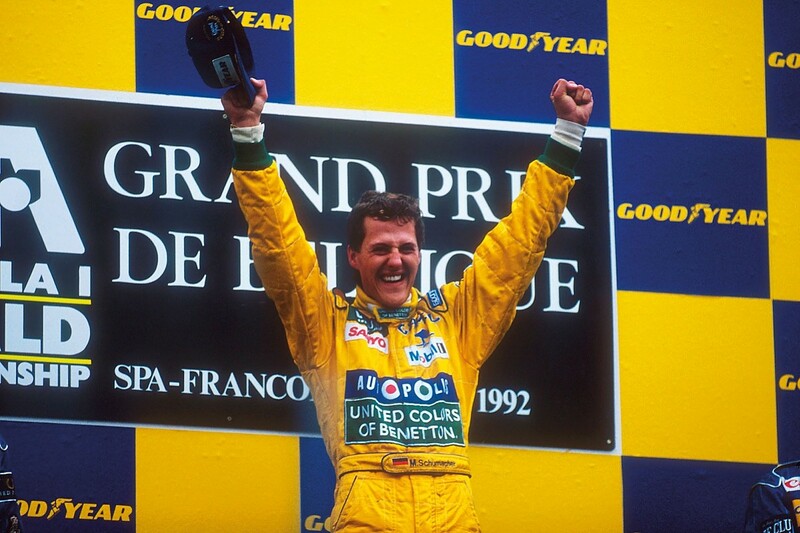 Standing between them was a sprightly, ebullient Michael Schumacher, 15 years their junior, who had just taken his first grand prix victory to establish himself as the new heir to the Formula 1 throne. Barely a bead of sweat stood out on the brow of this young German as he leapt from the top step. 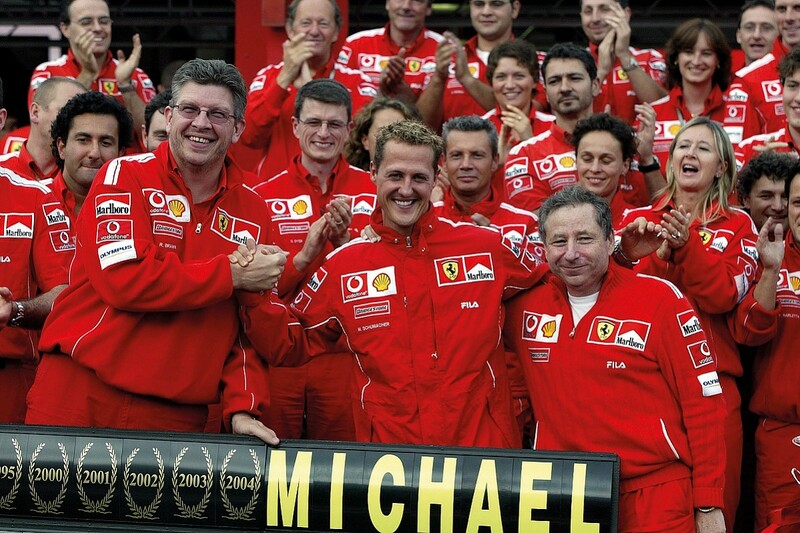 Schumacher's Benetton team-mate Martin Brundle recognised immediately his game-changing impact. "Michael moved the game forward," he recalls. "We had to raise ourselves. We had to get fitter and stronger and we had to look for every hundredth of a second. It was clear he was going to be a star of the future." Fast forward 14 years, by which point Schumacher had accrued seven world championships, 91 wins and 68 poles to become, statistically, the most successful driver of all time. He never planned it this way, but his achievements were already having an effect on racing youngsters in their formative years. These Schumi Wannabes, some of whom have since made it on to the current F1 grid, watched their hero and, regardless of his sometimes questionable racing ethics, sought to emulate his success. Some, like Sebastian Vettel, who hero-worships Michael to this day, studied every nuance of his behaviour: the work ethic, the attitude, the passion, the close relationships Michael nurtured within his team, the way he conducted himself - and his on-track ruthlessness. Schumacher set new standards in F1, and a generation of racers knew that to even approach his records, they would have to understand how he changed the rules of the game. 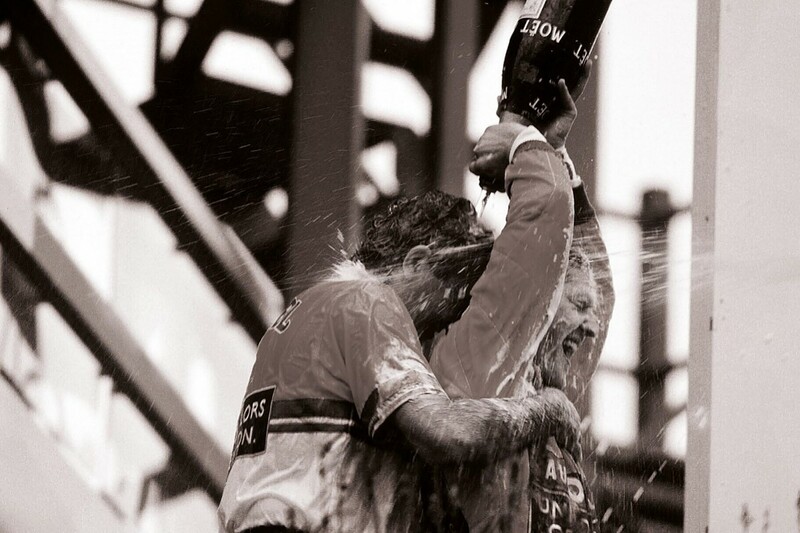 For after Spa '92, motorsport would never be the same again. In the mid-1980s, it wasn't unusual to see Keke Rosberg light up a cigarette on the grid. Drivers would work out to strengthen their arms and necks for the increasing speeds and G-forces they experienced through corners, but it didn't go much beyond that. 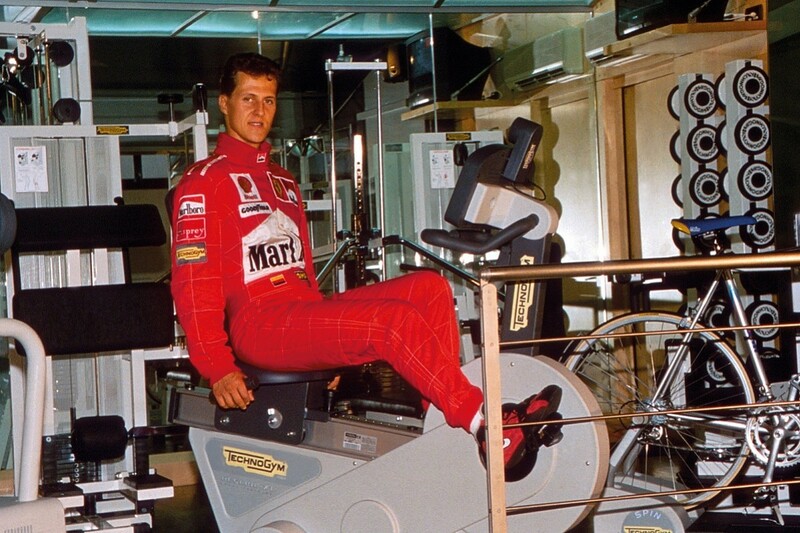 When Michael Schumacher broke on to the scene in the 1990s he revolutionised attitudes towards fitness. Today, every driver on the grid has a personal trainer in tow, constantly monitoring their physical condition, their health, sleep patterns, well-being and nutrition. Conditioning is monitored with scientific precision - and that's the norm in Formula 1 now. But it was Michael Schumacher who did it first. "Michael knew fitness was equal to lap time and he broke new ground," says Pat Symonds, who helped engineer Schumacher's double title success at Benetton in 1994 and '95. "In testing we'd do race-distance runs, but when we stopped for tyres we would pause before continuing. In those breaks, Michael's trainer would take a blood sample. By analysing the blood, when Michael next went into the gym he would train to a level that replicated those samples during testing, so he knew his aerobic rates for a race distance would be correct." 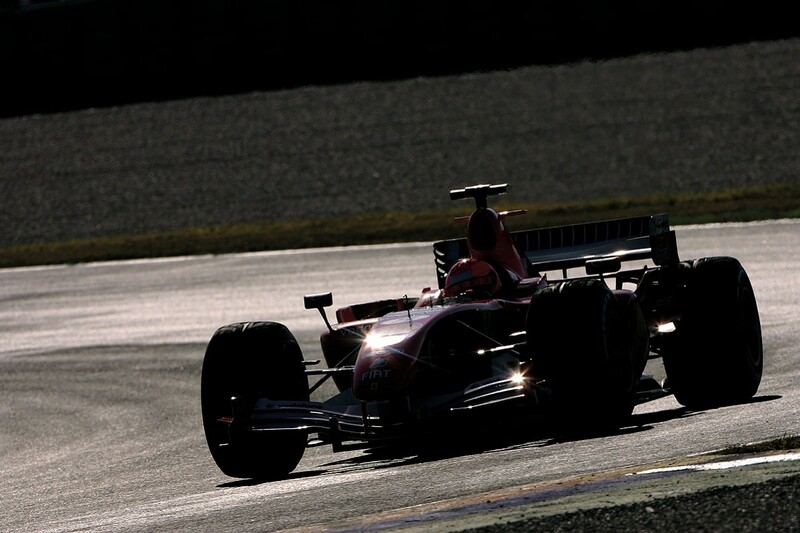 In testing, Schumacher would bring a glass-sided mobile gym to the track. Then, in the evening, after 100-plus laps in the car, he would work out with a relentless self-motivation in full view of his demoralised rivals. Every modern F1 driver is fit - Jenson Button became an accomplished triathlete late in his driving career - and some continue to explore the scientific quest for peak condition. Esteban Ocon explains how he spent last winter at the high-altitude Font-Romeu training camp in the Pyrenees, which is normally used by Olympic athletes. "Every day of the year, I will not miss one training session," insists Ocon. "Last Christmas I took two days off, trained at home in the week between Christmas and New Year, then went high-altitude training from January 2. Most drivers who attend Font-Romeu go for a fortnight; I stayed for two-and-a-half months." Working with specialists he describes as "body engineers", Ocon continues to push the limits of fitness in the way pioneered by Schumacher. Evidence of his quest for optimum human performance is revealed when he reports that on his lean 186cm, 66kg frame, he carries just "4.8% fat". This relentless quest to harness lap time through peak physical conditioning is now endemic throughout the sport. When Carlos Sainz Jr made the switch from Toro Rosso to Renault ahead of last year's United States Grand Prix, he found himself suddenly surrounded by a new set of mechanics, engineers, media staff - a whole new race crew - almost overnight. So to get on side with his new colleagues, he set about putting in extra hours of homework. "The mechanics are the real heroes of F1 because of the amount of work they do for little reward," he explains. "They travel in economy to Australia, get to the track at 8am every morning and so on. So I deliberately made an effort to remember their names - and I felt they appreciated it. You need to think about every little detail you can to help the team help you - I know it's what Michael Schumacher used to do." According to those who worked with Schumacher, he didn't just know his mechanics' names. He would also memorise the names of their wives and children. "I don't know if he used to rush back to the motorhome and make notes, but he could walk into the garage and ask his number-three mechanic how his son was getting on at his new school," Pat Symonds recalls. "That was staggering, but it was also genuine - everyone loved him for it." There are recent examples of drivers motivating teams, as they realise a token of appreciation can have a significant effect in such a demanding work environment. On the Saturday night of last year's Japanese GP, Lewis Hamilton took his Mercedes team out 10-pin bowling, while Vettel regularly hands out impromptu gifts (such as signed replica models and helmets) to members of his team. His determination to learn Italian - regularly heard on the cool-down lap after another Scuderia victory - is another example of going the extra mile to win the affection of his team. Drivers who show the right attitude, passion, trust, appreciation and can also deliver on track will attract the best mechanics, and engineers will want to keep working with them even when they swap teams. 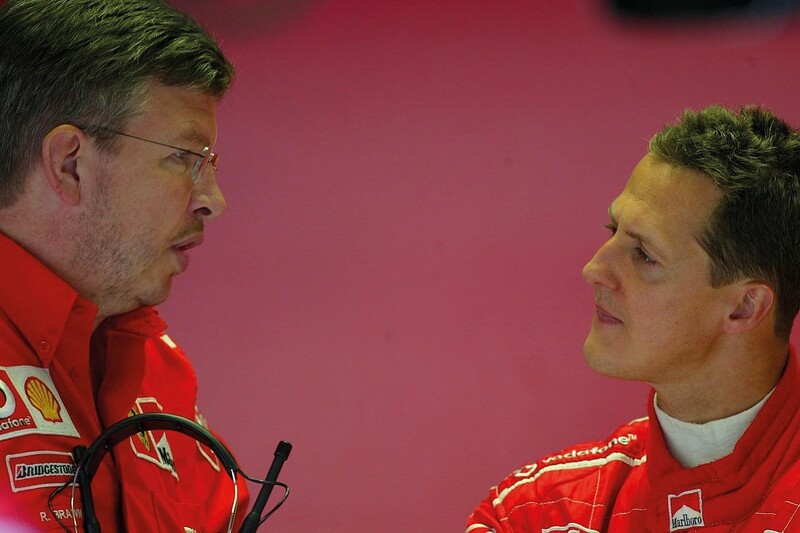 When Schumacher left Benetton for Ferrari in 1996, such was his influence that both technical director Ross Brawn and chief designer Rory Byrne joined him there within 12 months. Following Michael's example, similar moves happen all over the sport today. 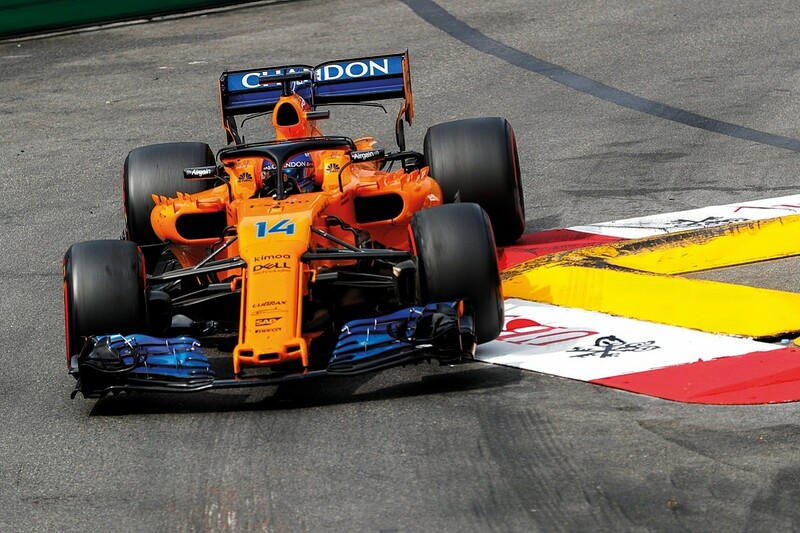 As recently as July, Andrea Stella was promoted to performance director at McLaren, while Gil de Ferran was announced as the team's new sporting director. Stella was formerly Fernando Alonso's engineer at Ferrari, while de Ferran was his driver coach at the Indianapolis 500 last year. Those who most want to win will always surround themselves with the right people - and that modus operandi was pioneered by Schumacher at Benetton and Ferrari. What with the relentless travel, constant engineering meetings and media work - and not forgetting the all-important on-track performances - a grand prix weekend requires such a high level of concentration that as Sunday evening approaches, drivers are drained of energy. But back in the early 2000s, those fabled days of unlimited testing, Michael Schumacher would be back out on track on the Monday morning, post-grand prix, and then again on Tuesday and Wednesday if required. He was almost automaton-like in his dedication and application, gaining Ferrari an invaluable advantage against such keen rivals as a Mika Hakkinen-led McLaren. "If we needed him to test, I would ring Michael up and say 'Can you be here tomorrow?'" Ross Brawn recalls. "'Yep, what time?' would be the reply. Never any hesitation. "One or two others I would ring up and it would be, 'Oh, well, I want to see my kids tomorrow, it's a birthday party,' and all the rest of it. You never had those discussions with Michael, because he knew that if you asked it was important." 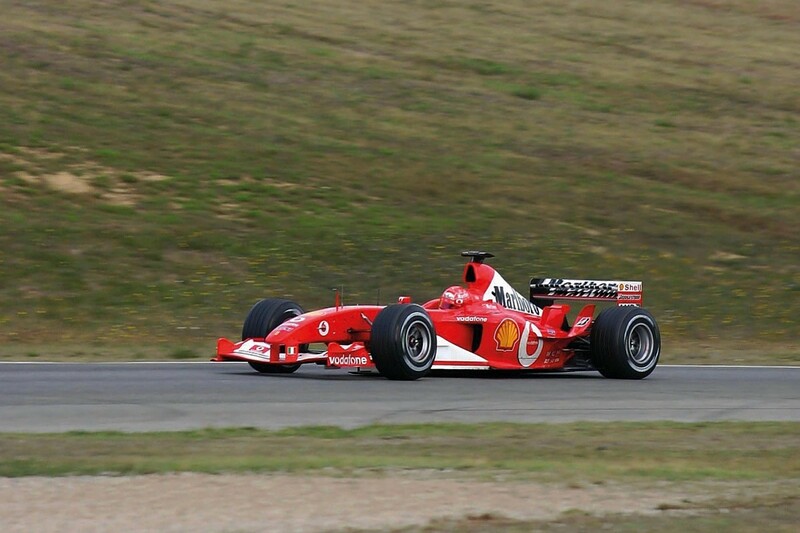 As a result of that work ethic, Schumacher's time behind the wheel meant he would lead the car's development work, whether he was helping trial a new compound of tyre for Bridgestone or a new suspension component. "There was never a moment when he wasn't 100% focused on the car or the team," continues Brawn. "I won't name them, but I had other drivers who were at the track doing property deals, online gambling or playing video games. He never did that; he never allowed himself any distractions - and even away from the track he would spend a lot of time on the phone with his engineer. "His team-mates were always shocked by the sheer amount of time, effort and commitment he put into improving himself and the team." Today's regulations have severely restricted testing, but there is a very notable example of one current driver who went tyre testing just days after winning his first world championship in a breathless end-of-season showdown race. That man is Vettel, who was running third in the championship battle going into the Abu Dhabi season finale in 2010, yet astonishingly emerged as champion, having leapfrogged Red Bull team-mate Mark Webber as well as Ferrari's Alonso after securing pole and victory. Vettel might have been forgiven for skipping the post-season test to celebrate, but just a couple of days later he flew back to Abu Dhabi to test Pirelli tyres for the first time. Following Bridgestone's withdrawal at the end of 2010, Pirelli would become F1's sole tyre supplier from '11 and the test was crucial for finalising suspension and aerodynamic design. Vettel was also the first driver to pay a visit to the Pirelli factory in Italy. So, despite achieving his life's ambition in such dramatic fashion, he was already thinking about the following season and getting down to work. Does that sound familiar? The quest to find an advantage over the opposition doesn't stop with fitness, a great team spirit and a relentless work ethic. There is also a ferocious competitive spirit that pushes the greatest drivers further - and can even take them beyond the limit. Former F1 racer Anthony Davidson saw first-hand the lengths Fernando Alonso would go to as he prepared for his Le Mans 24 Hours debut with Toyota. During testing, in the dead of night, he spotted Alonso hanging over the balcony filming a driver change in the pits on his phone, so he could analyse it later and feed back to the team any room for improvement. "It's that kind of approach and attention to detail that makes you a multiple world champion in Formula 1," says Davidson. "That's the difference." Beyond that, there's a ruthless streak that manifests itself in most of the true greats. The on-track 'give no-quarter' mentality became synonymous with Ayrton Senna's driving style and was only amplified by Schumacher. The 'win at all costs' tactics resulted in world title-deciding collisions, memorably with Damon Hill in Adelaide in 1994 and Jacques Villeneuve at Jerez in '97. One went Michael's way, the other didn't. But the mindset was identical and never left him. Indeed, he created an on-track persona that served to intimidate other drivers and he wasn't afraid to go beyond accepted limits - think of him shoving Rubens Barrichello into the pitwall in Hungary in 2010. A high-speed crash was avoided by mere inches. Think those days are gone? Not a bit of it, as Ocon, who admires Schumacher's aggression, explains: "He was amazing," says Ocon, a driver who made on-track contact with his team-mate Sergio Perez three times last season. "What do you want me to say? Today you have to be a professional driver, but back then, when I was watching, I thought that what he did was amazing. He was a gladiator. He was fighting for his position on the track." 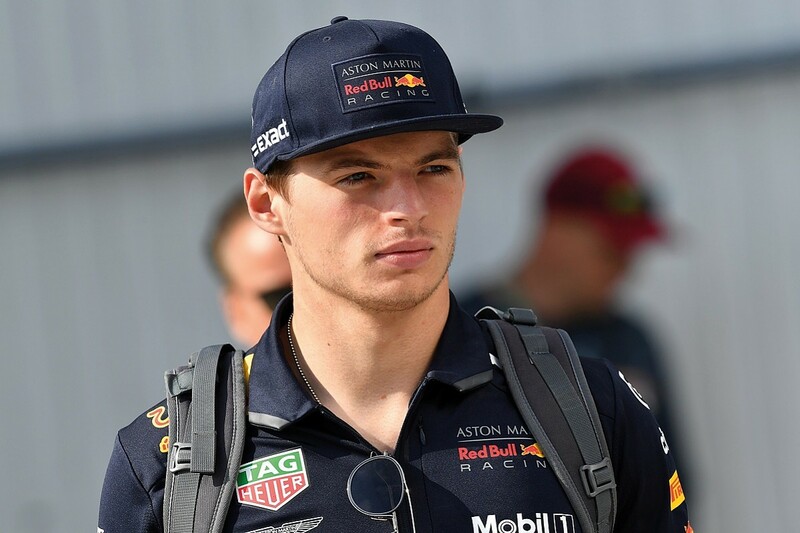 The driver who today most obviously flirts with the limits of acceptable driving behaviour - and has likewise been accused of going beyond it on the racetrack - is Max Verstappen. Like Michael before him, Max is not afraid to intimidate his rivals wheel-to-wheel, moving under braking and stretching the limits of the circuit to overtake. In fact his moves tested the limits of the rulebook to the extent that the FIA acted to clarify what was acceptable and introduced in late 2016 the so-called 'Verstappen rule', which banned the practice of "moving under braking" - although this was later rescinded. In 2017, Verstappen overtook Kimi Raikkonen for third place on the last lap at Turn 17 at Austin, but cut the corner and was subsequently demoted from the podium with a five-second time penalty. "There are parallels between Max and Michael," agrees Symonds. "We see that talent and competitive spirit. Max, like Michael, doesn't see boundaries where other people see boundaries. That last-lap overtake on Kimi in Austin... a more conservative driver might have realised that they couldn't use that bit of track; Max just does it." Verstappen is uncompromising, just like Schumacher before him. If he sees an inch, he will take a foot - instinct over thought; tough, yet thrilling to watch. "Some of what Michael did was about undermining the enemy and destroying their confidence," muses Brawn. "Michael would be on the rostrum with two guys wilting, barely able to stand up, and he'd be bouncing around and they would be looking at him thinking: 'God, what on earth is this creature we're competing with?'" "I guess I have been a pioneer for the generation that races today," said Schumacher in an interview recorded before his skiing accident in 2013. "A lot of drivers didn't understand that it was not only about talent. It was about working with your team, maximising not only your own potential but maximising the car and the team's potential. Then you push things to the absolute limit and overshoot it. That's racing. "This is something I see now with the young generation: they are much more prepared; the competition has gone to a higher level - and, in a way, I'm proud of this." There are echoes of Schumacher's traits in many of the drivers on today's Formula 1 grid. 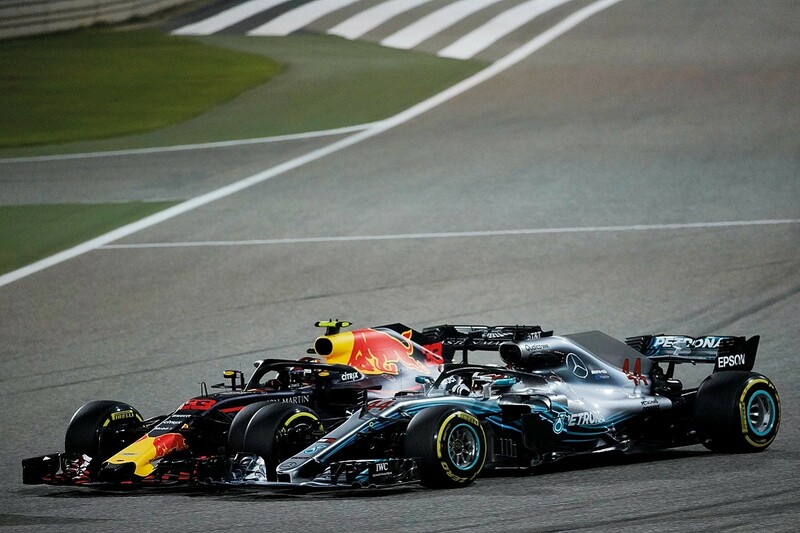 Between 2001 and '03, Schumacher's consistency in races led to him finishing 24 grands prix in the points - a record that has since been eclipsed by Raikkonen over 2012-13 (27 consecutive points finishes) and Hamilton from 2016 to this year (33). 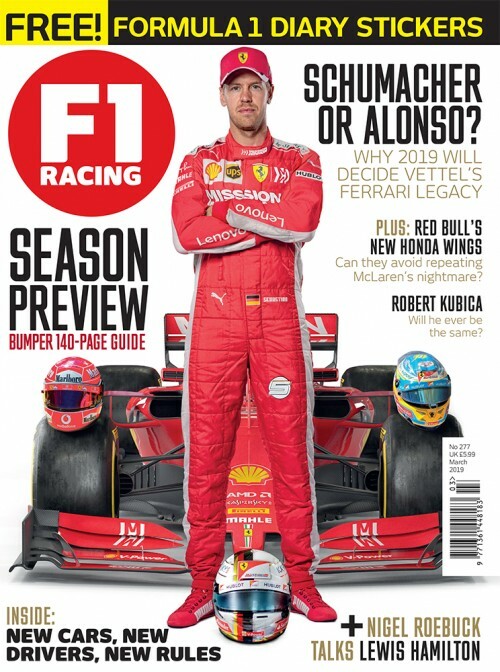 Schumacher's attention to detail is mirrored by the high standards Alonso displays, while we see signs of his ruthless competitiveness on-track in some of the exciting, combative driving of Verstappen. But if there is one driver who exudes all the qualities that Schumacher demonstrated in his years in Formula 1, it is Vettel. Here is a man who keeps his PR appearances to an absolute minimum, does not engage in any social media, and keeps his family and private life firmly behind closed doors. There are no distractions from his intense focus on F1. "Vettel has taken Michael Schumacher's blueprint and is the current embodiment of him," agrees Davidson. "He looked at how Michael approached F1 and he's doing exactly the same. He's one of the hardest-working drivers on the grid and has that same relentless quest for performance that Michael had, which in any sport is going to make the difference these days." "Sebastian was very close to Michael, socially and professionally. They spent a lot of time together and I think he was one of the closest witnesses of the approach that Michael took," says Brawn. "Sebastian strikes me as someone who is very self-motivated and who looks at every aspect to improve his performance." Like Schumacher before him, Vettel had been incredibly successful at one team, but wanted to prove himself elsewhere. What could be better than to follow in his idol's footsteps and achieve similar success with Ferrari - the ultimate goal for any grand prix driver? When Vettel speaks of Michael, it's clear that he is the inspiration for his success. "He was my hero. 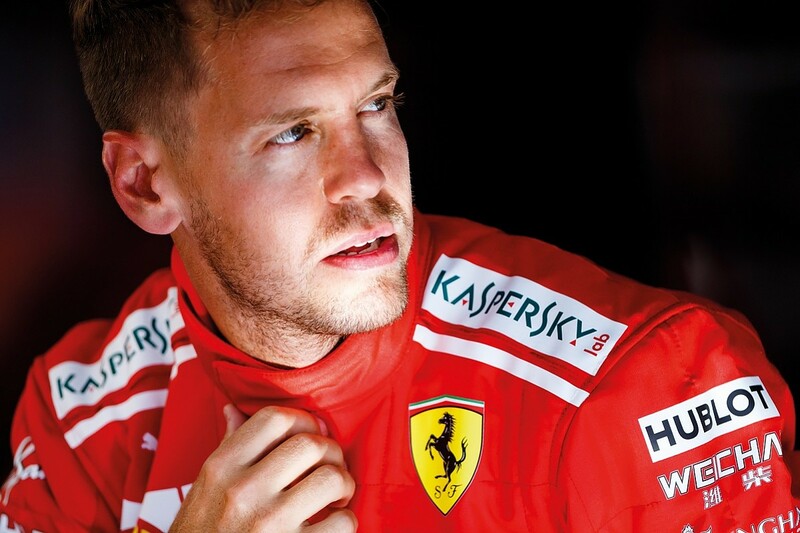 I used to have posters on the wall of him," says Vettel. "For me, he is the best driver we have ever had in terms of talent, skills, passion and willpower. Put all those things together and, as a driver, you will be the strongest package. He will be remembered as the best driver in history. "When somebody asks me what connects me to Michael, obviously it goes back a long time. I met Michael for the first time when I was seven. Then, later, I got to know him as a person and he was always there for me, with a word of advice or some help. "I think he was uncontested both in terms of talent and his attitude to sport, the devotion, the work, the will, always to give more than anyone else. Of course I wish him the very best and hope that he will continue to fight the battle and come back some time. I miss his opinion, his advice, his expertise." So too does Formula 1.